Center City Pediatrics is committed to creating a medical home for our patients. Part of providing the highest quality of pediatric care demands being mindful of the complete picture of your child’s health. Our Care Coordinator will assist in managing referrals and organizing connections with specialists. In some cases, specialists are available for appointments in our office. 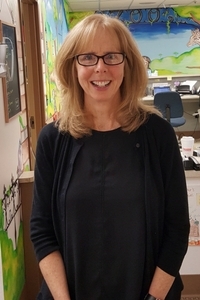 Sharon M. Greis (MA CCC/SLP BRS-S) is a Speech/Language Pathologist with a specialty in feeding and swallowing disorders and neuro-developmental treatment. She is a Board Recognized Specialist in Swallowing and Swallowing Disorders. She is proud of having helped numerous infants, children and their caregivers overcome feeding and swallowing problems. She was a Senior Speech Pathologist in the Pediatric Dysphagia and Feeding Center at The Children’s Hospital of Philadelphia for over 15 years. Center City Psychological Services, LLC is a group private practice that provides psychological counseling and testing (both psychoeducational and neuropsychological) for children, adolescents, adults and families. The practice is co-owned by licensed psychologists Brian P. Daly, Ph.D. and Sofia A. Ginzburg, Ph. D. Both Drs. Daly and Ginzburg have been independently practicing in Center City Philadelphia for almost 10 years. They specialize in behavioral and cognitive-behavioral therapy, evidenced-based treatment strategies for a wide range of issues. Linda is certified by her profession’s highest governing body, the International Board of Certified Lactation Consultants (IBCLC). Even more importantly, she has earned the trust and confidence of mothers around the city and her colleagues at Pennsylvania Hospital.